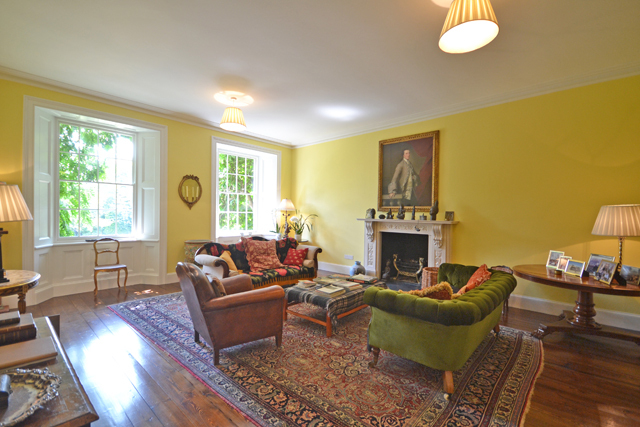 This elegantly restored Grade II listed house is within easy striking distance of Plymouth. Trewin House occupies a private setting on the banks of the Lynher near Torpoint, a few miles from the Devon-Cornwall border. Standing proudly within its own 35 acres of parkland grounds, it is without a doubt a very special family home. The Georgian core of Trewin House was built in 1750- 52 by the then owner, John Littleton, and later extended in the Victorian and Edwardian eras. Today, it is Grade II Listed, and has been meticulously restored by its current owners, who have also made sensitive modernisations throughout. On the ground floor, the layout compromises of an entrance hall, reception hall, morning room, music room, a vast family kitchen, drawing room, dining room, dairy kitchen, laundry, cloakroom/wc and a rear hall. The interior is beautifully presented, with generous ceiling heights and elegant period details. Particular care has also been taken to retain many original features of the house, including fantastic flagstone flooring, ornate cornicing, wonderful marble fireplaces and original sash windows with working shutters and period radiators. The entrance hall also features an archway with a rare hound’s door. Upstairs, 7 bedrooms and 5 bathrooms provide ample family accommodation. Beneath the house are 3 large cobbled floored cellars and an old safe room still with its original safe door, offering further useable family space. 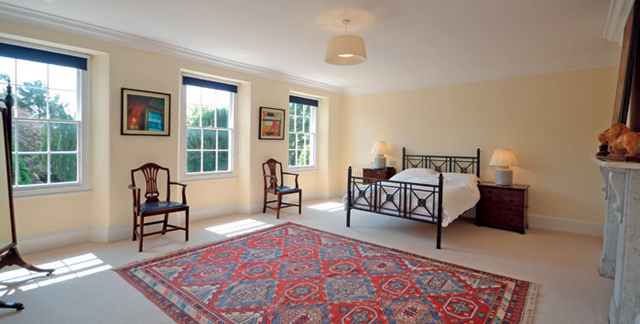 A charming two-bedroomed Coach House offers further accomodation for guests or staff. Outside, the large south facing front lawn is edged with hydrangeas and rhododendrons. To the rear of the house lies an enormous walled garden, which still retains fruit cages. To the east and west, an array of trees and shrubbery, and also a pretty pond which forms at times of high rainfall. The property is well located with the small coastal town of Looe 9 miles away and Plymouth 8.5 miles away via the Torpoint Ferry. A direct train from Exeter (47 miles away) runs straight into London Paddington. Trewin House is a real find. Its recent renovations combined with secluded grounds and easy transport links make it one of the finest country houses available for sale in Cornwall. The guide price is £2.35m. For further information please contact Lillicrap Chilcott on 01872 273 473.